Increased investment in the Highlands is contributing to a strong housing market in the region – with demand growing for houses in the £500,000- £1 million bracket, according to the latest figures from an independent property consultancy. Galbraith’s report for the third quarter of this year showed the level of sales conducted by the firm in Inverness remained high and the number of properties that went on the market over the period was 10% up on the previous three months. The principal reasons for the increased interest in higher-end properties were a strong local economy creating jobs, particularly in the renewable energy industry, and improved confidence in the tourism sector, the firm said. Also, the tourism boom was attracting buyers interested in the potential for letting part of their property on a short-term basis or, in some cases, creating a separate holiday cottage in the grounds. The company also had 40% more prospective buyers registering with it than in the second quarter of the year. The firm said there were increasing signs the market was moving away from the tradition of selling in the spring and summer, with more year-round activity. Phiddy Robertson handles residential sales for Galbraith in the Highland capital. 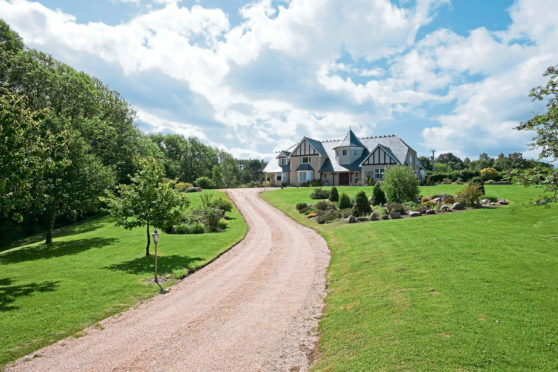 She said: “Seller confidence is high as a result of a continued active buyer market in the Highlands, boosted by good-quality properties and a recognition of capacity for further growth in values compared to the rest of the UK. “As such, we have brought more properties to the market this quarter and have conducted 20% more viewings than the previous three months of 2018. “This reflects the appetite for a 12-month market, where the established patterns of marketing predominantly in the spring and summer months are falling out of favour as technology and changing demands require a more flexible approach. Mrs Robertson added: “Of notable interest this quarter was the increased activity at the higher end of the market, driven by the desire to live in beautiful surroundings with the confidence that continued investment supports an already healthy economy.We are seeing renewed demand for properties priced between £500,000 and £1m as well as the already strong £250,000-£400,000 bracket.